Are you wearing Old Spice this morning? 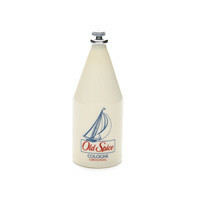 - Rescue Marketing, Inc.
Posted by	 July 15, 2010 July 15, 2010 3 Comments on Are you wearing Old Spice this morning? There was lots of noise this week when those clever folks managing the Old Spice social media campaign started making dozens of videos for a couple of days. Old Spice’s team responded to Twitter posts, to Facebook posts, blogs and more, whether the posts came from celebrities or not. The quickly made videos were funny and appeared to gag YouTube for a bit (might’ve been a coincidence). At any rate, it was a clever campaign to get some buzz about the product. But did anyone buy Old Spice as a result? Remember, that’s presumably the goal of running an advertising campaign, regardless of the media used. What concerns me about actions like this – even though I tell you to have fun in your marketing – is that when a global company like Proctor and Gamble uses social media like this, I’m guessing that someone, somewhere wants to see ROI. If they don’t, then we’ll have a global corporation (and their ad agency, potentially) pronouncing that “social media doesnt work” to anyone who will listen. Bottom line: They want to see Old Spice fly off the shelves. Will P&G be able to tie increased sales (over what period) to this campaign and ONLY this campaign? I just don’t know, but I doubt it. Unlike the Will-It-Blend campaign, which demonstrated the toughness of Blendtec’s blenders (essential for the market they serve), this campaign only shows that P&G’s marketing firm is smart, clever and fast on their feet – and there’s nothing wrong with that. However…It doesn’t prove they know how to sell deodorant, body wash etc. Don’t fall into that trap, no matter how clever you are. REQUIRE that your marketing campaigns return a trackable ROI, no matter what the media. One of the questions that keeps coming up is people saying, “Ok, this is great, but will it make me buy more Old Spice?” If you look at the comments that are publicly saying, “I’m going to go and try Old Spice after this, I’m going to wear more Old Spice,” the groundswell of people saying that they are going to consume more Old Spice, I don’t know whether that is true or not, if people are actually going to go to the pharmacy and buy Old Spice, but I bet a whole load of them are going to go into the aisle and take the top off an Old Spice and smell it. Update: Mashable comes up with some hard numbers related to the videos…but no sales info. I’m still following this. We’ll see if they have devised a means of bringing this home to the cash register. I’ve thought about this a lot as well. IMO, what Old Spice has done is great and legitimately entertaining, and they’ve without a doubt reached out to a large group of people in a small time span. But then again, a big part of their exposure is most likely entirely useless in terms of actually selling their product. 10’s of thousands of preteens looking to kill some time on YouTube is a lot different than 10’s of thousands of younger men shopping for deodorant.